Lawmakers from the Rio Grande Valley took advantage of the governor’s visit to Pharr Tuesday to personally give him a letter expressing their support for expanding the state’s network of trauma hospitals. 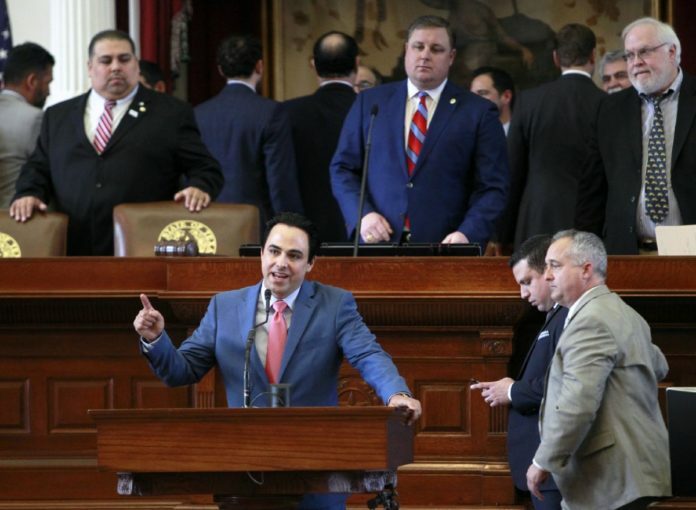 State Rep. Terry Canales, D-Edinburg, hand-delivered a letter signed by the RGV delegation’s three state senators and seven state representatives to Gov. Greg Abbott, who was in town for the inauguration of South Texas College’s Regional Center for Public Safety. The issue is of particular importance to lawmakers from South Texas as there is no Level 1 trauma center south of San Antonio, leaving patients from the Valley and beyond — the Laredo and Corpus Christi metropolitan areas — having to travel to San Antonio, Austin or Houston for advanced emergency medical treatment during natural disasters as well as year-round. According to the letter, injuries and traumas are the leading cause of death for Texans aged 1 to 44 years, and of the top nine most populated regions in Texas, only the Valley lacks a Level 1 trauma center, which provides the highest level of care. Lawmakers, who in addition to Canales include Sens. Judith Zaffirini, D-Laredo; Eddie Lucio, Jr., D-Brownsville; Juan “Chuy” Hinojosa, D-McAllen; and Reps. Ryan Guillen, D-Rio Grande City; René Oliveira, D-Brownsville; Eddie Lucio III, D-Brownsville; Armando “Mando” Martinez, D-Weslaco; Robert “Bobby” Guerra, D-Mission; and Rep. Oscar Longoria, D-Mission, are pushing for the Legislature to allocate funding from a Hurricane Harvey relief package for upgrading existing Level 2 and Level 3 trauma centers to Level 1. Doctors Hospital at Renaissance in Edinburg is one such facility, currently a Level 3 center, looking to receive this highest designation in the near future. It has drafted resolutions which cities across the Valley have adopted over the past two weeks in support of this legislative effort. The cities of McAllen, Mission, Pharr, Weslaco and Edinburg all passed resolutions, according to Roberto Haddad, vice president and counsel for government affairs and policy at DHR.